As part of the GEM Programme, a graduate programme run by Centre for Partnership, part of Incommunities Group, I get to experience a wealth of opportunities I would never have believed! 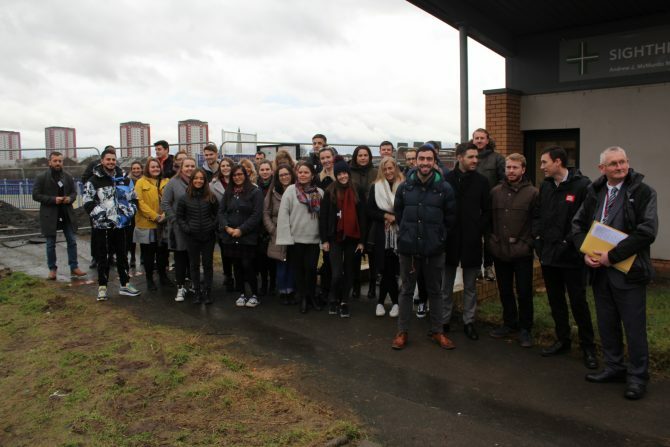 The most recent GEM shack we (Cohort 10) embarked on was to Glasgow, Scotland. I have never been to Scotland (shameful, I know) therefore, all the stereotypes I had taken from the media were firmly embedded in my mind. Although very shallow of me, I envisioned pulling into a grey concrete jungle, full of high-rise buildings. How wrong could I have been?! Stepping out of the station on the way to the hotel, I stood immersed in the buzz of the lunchtime rush in awe at the beautiful architecture and vibrant culture of Glasgow. Wheatley Group, in the heart of Merchant City, was the host for our two-day workshop on the topic of Social Regeneration. Wheatley staff, including the two Wheatley GEMs, shared their values and how this influences their understanding of social regeneration. I know now it is not just about knocking down old timeworn houses and building shiny new ones but about the regeneration of social opinions in the communities that live within the city. Wheatley Group is working hard to put policies and practices in place to strengthen their ethos of social regeneration and customer excellence. In house employability schemes which allow their tenants to be employed full time within Wheatley Group create a more inclusive and diverse workplace whilst building relationships of trust and confidence in their tenants. A concept Wheatley is very proud of (and rightly so) is ‘Think Yes’. This is something GHA, Wheatley’s biggest social landlord, introduced to enable their employees, in particular their housing officers, to use their professional judgment to say YES to tenants. Previously officers would have had to either say no or go through management for a definitive answer to queries such as washing machine replacements or building a fence in a tenant’s back garden. Housing Officers now have a small budget to find solutions to suit both the needs of the business and the customer. Hearing from staff who have engaged in ‘Think Yes’ shows that it allows housing officers to be more collaborative and think intuitively to enhance the housing services that are provided to their tenants. Not only did this increase their job satisfaction but deepened their relationship with their customers. Wheatley is doing some really innovative and creative things to connect with their tenants on a new level that many of us had never seen before. Many GEM students felt that many organisations in the UK have barriers within them that prevent NHOs or other officers from having the confidence in their professional judgement to make decisions. 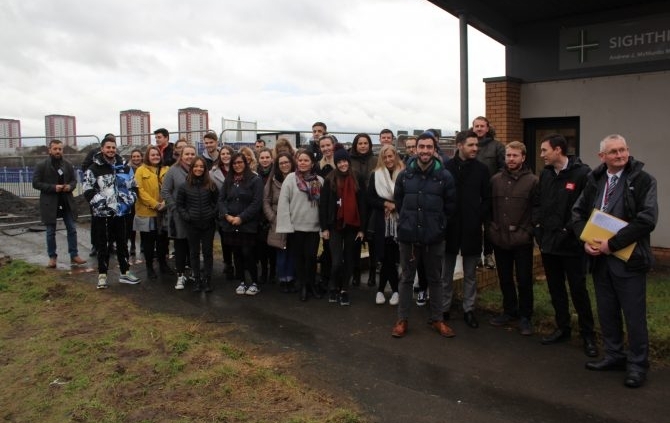 I think it is safe to say GEM cohort 10 came away from the WHG GEM Shack with their minds full of innovative ideas and creative concepts to take back to their organisations regarding social regeneration. Many of the ideas discussed placed an emphasis on the importance of organisations moving away from old-fashioned policies to help redesign our housing systems for the better. Ultimately we want to make our housing sector more about building relationships with people, building communities and building maintainable homes… and not just building houses with bricks and mortar.